I'm very sorry that in the entire month of August I only posted one entry...only one!! The truth is that I kept myself very busy during the month of August. I went to Six Flags Magic Mountain, I went to the San Diego Zoo, and Went to see Ellie Goulding at the Wiltern in LA. And to top it off I started school yesterday. It sure was a great month. But now I will share with you guys the products I have been loving this past month. This Lipstick is a definatly keeper in my collection. Not only does it smell amazingly delicious, but the color is just beautiful. 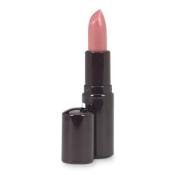 It is the most flattering rosy nudish pink ever! It's great for everyday use, and it's quite long wearing too. NARS Deep Troath Blush Yes, my rant of my "Products I will not repurchase" It definatly grew on me, and now I use it almost everyday. I think I was making a big mistake in using the Ecotool Blush Brush because that applies sheerly, and this new brush i'm applying it with (which is the next one I'll talk about) is phenomal and provides great color payoff and it's very longwearing. Sonia Kashuk Flat Top Multipurpose Powder/Blush Brush (Brush Couture) I saw this on the clearance shelf at Target for only $5 and come cents. It reminded me of the E.L.F. flat top brush, with a mix of the MAC 109 and one Lancome Brush. My first impression was not very good, It is definatly not the softest brush I've used. At first it shed, which it was something I was not happy with. But let me tell you that it is great for applying blush. The size of the head it's perfect for the cheecks and it's very dense. I got this with the Benefit Feeling Cheeky Set from Sephora. Very lovely highlight and best of all looks very natural and blends like a dream. I don't think I would purchase the full size of this product because it is too expensive and I don't think I would ever go trough an entire bottle of this. I purchased this recently because I needed major help with my knees, elbows and feet. I love the slight coco scent this has. 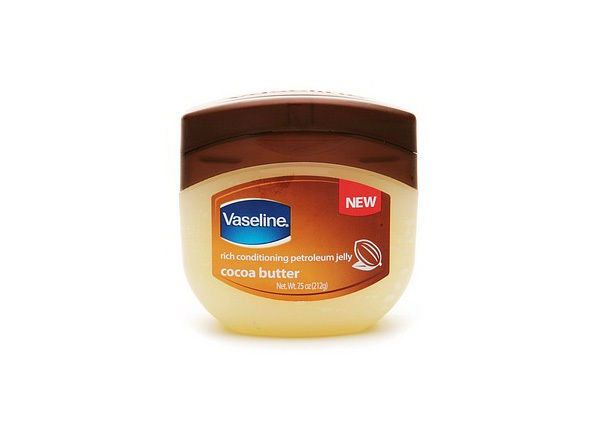 It works the same as the original vaseline. Yes I'm very aware that this isn't a beauty product. But I hadn't had a vanity for the last 5 years, and when we moved the furniture around the redroom i had a tiny space left for a new piece of furniture. So I purchased the dresser from Kmart because it was the only one that I could find that was narrow enough to fit. I would not recommend Kmart for online purchases because it took a freaking month to get to me. I bought the mirror at Marshalls for 12 bucks! Well my friends I leave you with some photos from this month. My dad! Ok... I just had to include the cute Panda! So I don't know if a lot of you guys know this, but Lauren Conrad has a clothing line available at Kohl's, and it's totally cute! I absolutely love her line because it's very feminine, playful and she always uses soft pastels colors. However, I don't own many pieces from her line because since they always have sales most of the time they are always sold out in my size, or they have my size but fits too big. That's the only thing I do not like about her line. Sometimes the size 4 fits more like a 6 or 8. So I went in on Monday just shopping around and all of her line had major discounts. The most recent collection had a 35% off. While other racks had 50% AND 60%!! So I walked around and spotted two shorts, but the smallest size available for both was a size 4. I decided to try them on just in case, and they fitted so well! I Love them... cannot wait to wear them!